Ronald George Brooke saw service on the Northwest Frontier as well as north, east and southern Africa. In the Boer War he was on the staff and with the South Africa Light Horse. He was wounded at Elandslaagte and was present at Spion Kop, Val Krantz, Heights of Tugela and Relief of Ladysmith. Also at Biggersberg, Botha's Pass, Almond's Nek, Laing's Nek and Belfast. Mentioned in despatches of Sir George White and General Buller for operations in Orange River Colony, Dec 1899, June 1900 and Nov 1900. 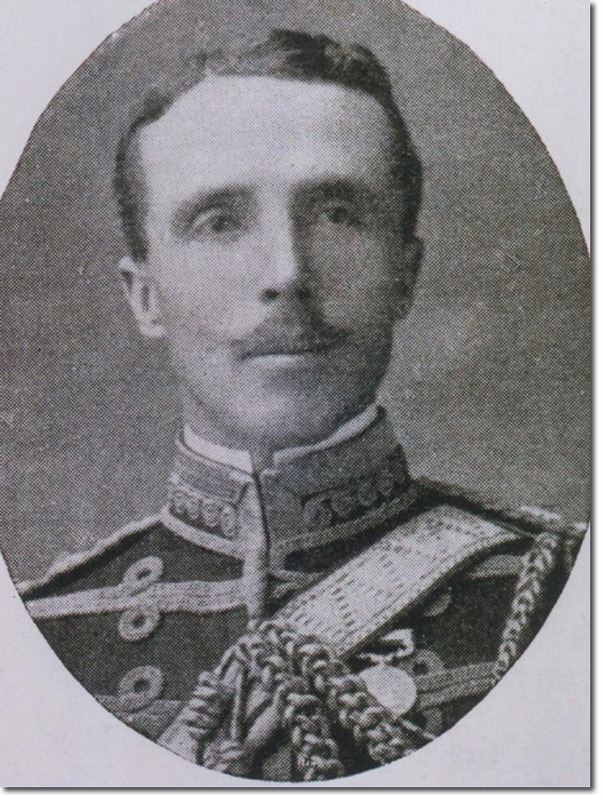 In 1904 he exchanged as a major to the 11th Hussars and was second in command. His medals included a DSO and one from the Humane Society. The photo shows him as a captain in 7th Hussar uniform with gold cord aiguillettes denoting his status as aide-de-camp. 1886 Lieutenant in 7th Hussars 13th Oct.